Wishing it was still spring or summer, I whisked myself away with this nailart instead. 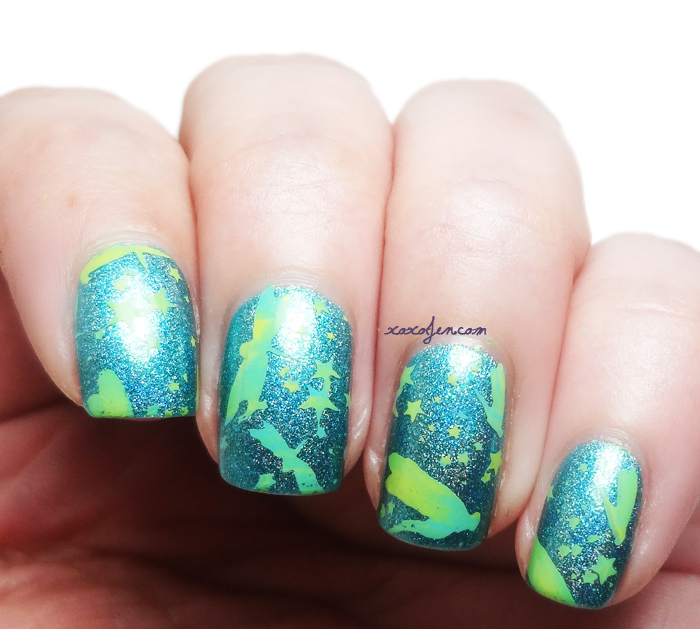 Gradient stamped butterflies from Vivid Lacquer plate VL014. 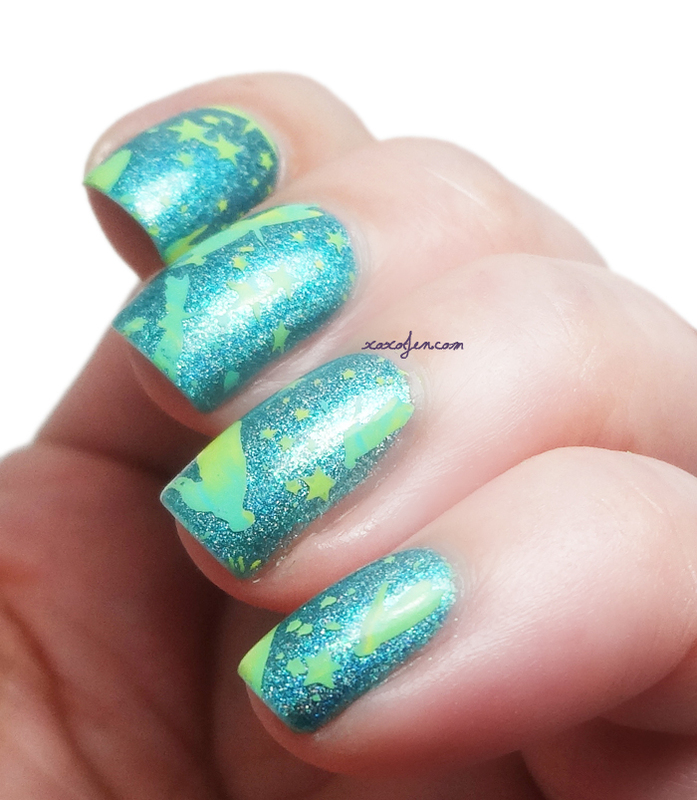 I blended a couple of MDU polishes for the effect and stamped over Grace-full Sunlight and Starlight that was reviewed previously. Did you enjoy this? What is your favorite stamping design? I like the whimsical feel these nails have. I've been wanting to do something similar since I got this plate but with three shades of green. Unfortunately I'm still hunting for three shades of green that play well together and stamp. I was thinking over black maybe. ooo that would be beautiful! When you do it, would you send the link to me? I would love to see it!